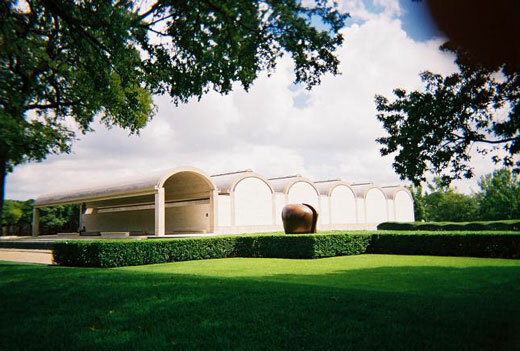 Located in Ft. Worth it was designed by the architect Louis I. Kahn to house the art collection of Kay and Velma Kimball it is considered to be one of the most significant museum buildings in the United States. Richard Brown, the museum’s curator, desired a modestly-scaled building where natural light would play an important part. This meshed with Kahn’s almost mystical belief in the importance of daylighting in architecture. To admit daylight a thin linear skylight was installed along the top of each of the vaults and runs their entire length. To screen the artwork from harmful UV radiation and reflect the light up onto the underside of the vaults a specially designed reflector with perforated aluminum screens was installed. 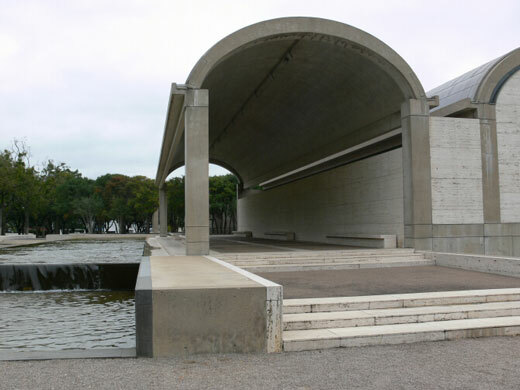 Louis Kahn referred to it as a “natural lighting fixture” that is a “modifier of the light, sufficiently so that the injurious effects of the light are controlled to whatever degree of control is now possible. And when I look at it, I really feel it is a tremendous thing”. The luminous quality of the museum is greatly admired. The ambient light is soft and even and creates a comfortable and relaxed environment. Yet the character of natural light subtly changes during the day and is affected by changing weather conditions. Kahn wrote concerning this… “And as the cloud that passes over gives the room a feeling of association with the person that is in it, knowing that there is life outside of the room, and it reflects the life-giving that a painting does because I think a work of art is a giver of life. So light, this great maker of presences can never be… brought forth by the single moment in light which the electric bulb has. 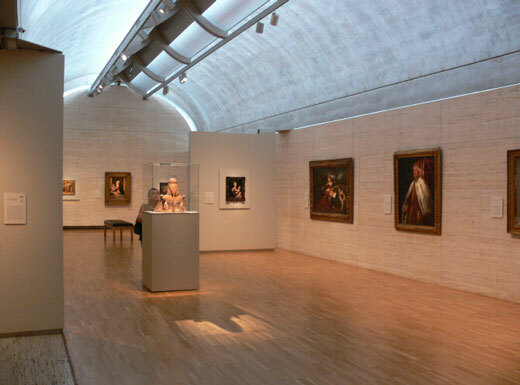 And natural light has all the moods of the time of the day, the seasons of the year, which year for year and day for day are different from the day preceding.” For many, the luminous quality of the Kimball Art Museum is the benchmark against which all other spaces are compared.